Online games sites made with Adobe Flash has become very popular. There are several agencys who specialize in the development of Flash games and in recent years have seen a big growth in relation to Flash games on social networks to examples of casual games that we found on Facebook and Orkut. Adobe Flash offers a huge range of possibilities for game development and more recently with the new 3D API of Flash Player (codenamed Molehill), this has only increased and much freedom developers. See the list of statements with Molehill. Box2DFlash — This Flash physics engine is based on the widely recognized Box2D engine from C++. Glaze — This one is based on the Chipmunk engine from C++. Beyond physics, this library also features scene management, line of sight, user input, scrolling, and AI. You can also use some libraries or codes of games already developed and ported to Flash through the Adobe Alchemy, for those who do not know, Adobe Alchemy converts code in C / C + + to ActionScript 3.0. We have so much producing porting games to the Nintendo Wii to Flash. I’ve always been a fan of games and since my first video game, a Master System, I always wanted to create games and now decided to create a website. To create a Flash game site, the company Mochi offers a choice between plugin for WordPress, Game Site Script, Arcadem Pro 2.8+, phpArcadeScript and AV Arcade. The company’s interesting is that the company also offers games and the ability to publish and you earn some money with your own game. My game is still in production and involves Flash and Flash Media Server for something more interactive and in real time. Soon be available on Mochi. Meanwhile, enjoy some of the more than 900 free online games made in Flash. Thanks admin for sharing your list, I’ll make sure to browse all the theme. I really appreciate your work. Brilliant kindness! I’ve always wanted to learn Adobe flash as i google it I found your article and I am amuse because your post just right for what i am looking for thank you. Have to read more of your post and bookmark it for future reference. I already use 1 of the arcade script you mention. However, It is not a good idea to use it now because of the link structure of the said arcade script. Thanks for sharing your list of flash game software developer. I will try Box2DFlashAS3 2.0.1 for sure. I’ll be waiting for the 900 games that be publish by mochi, I really love flash games and mochi games as well.. Really a good and a friendly games. Better online games to play by children. My nephew wanted to play online games thanks for the post and for sharing these. There are lots of new games coming from mochi these days and still with high quality flash games and content. Flash games are really a good start to relax. You tell us right way to setup online games to our site. I hope I will successfully add games to my website. Its never been better when using flash on your site, the good thing about it is very simple and yet very exciting to used. Flash games are the best for online games. 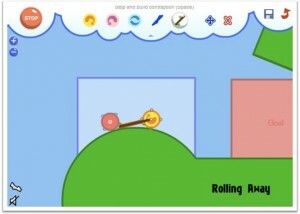 A touch of 3D in flash games has increase flash game popularity. A lot of people are taking interest and playing flash games. No doubt graphics and control of flash games has improved a lot. Flash games is now the most popular games platform very easy and convenient to play.